Crosby Street | SoHo Memory Project. Filmaker Jody Saslow contacted me recently about a film he made when he was at NYU film school called "Crosby Street." It is a beautiful portrayal of everyday life on Crosby Street in 1975 that profiles workers and residents alike at a time when gentrification was just peeking its head around the corner. This film resonated with me in so many ways. As an archivist and historian, this film is an essential resource that documents our neighborhood's heritage. These firsthand accounts are "proof" of what SoHo was like back then. On a more personal level, this film brought back so many memories. I lived on the block profiled by Jody at the time he filmed it. I knew many of the characters that appear. We used to park our car in the garage where she interviews workers and I used to order grilled cheese sandwiches and milkshakes from the woman at the coffee shop. The writer who sits in his window and the woman in the chair were our neighbors, they lived on the second floor of our building. I walked down that street every day to go to school. This film is a fabulous portrait of a street at a particular moment in time. Although the buildings on Crosby street remain unchanged (aside from the glamorous Crosby Hotel that now sits on the site of the parking lot), the landscape has completely changed. The street is now home to the MOMA store, Balthazar, Starbucks, and even Bloomingdales, not to mention countless "luxury lofts." I am so grateful that Jody has offered to share his film with us. I hope you enjoy it as much as I did! Crosby Street is an affectionate cinematic portrait of a typical street in New York City’s Soho district during the dawn of its emergence. The film presents average people in the context of ordinary circumstances, offering the opportunity to experience a microcosm of urban life rarely examined: the anonymous, rather than the celebrated. On Crosby Street we feel the pulse of the city through the people whose lives unfold here. We learn how societal shifts have forced changes in this 100 year-old industrial neighborhood. Workers express their feelings freely regarding their livelihoods that bring them here. Pioneering residents, and transients from the nearby Bowery, offer insights into the various moods and attractions of the street. 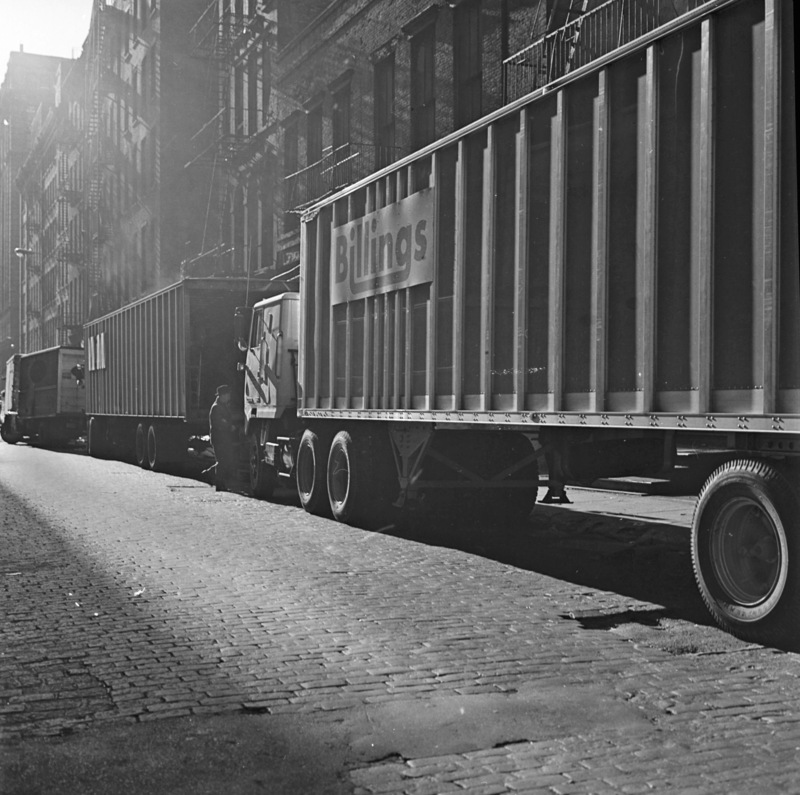 The film, made at a time when New York City was on the brink of bankruptcy, is an artifact of a Manhattan that was still a home to manufacturing, when the homeless were “Bowery Bums”, and hand-drawn wooden carts were still used for hauling. There is barely a hint of the emerging phenomenon of gentrification that would eventually make the street’s Soho neighborhood internationally renowned. 1975, 16mm, color, 18 min.